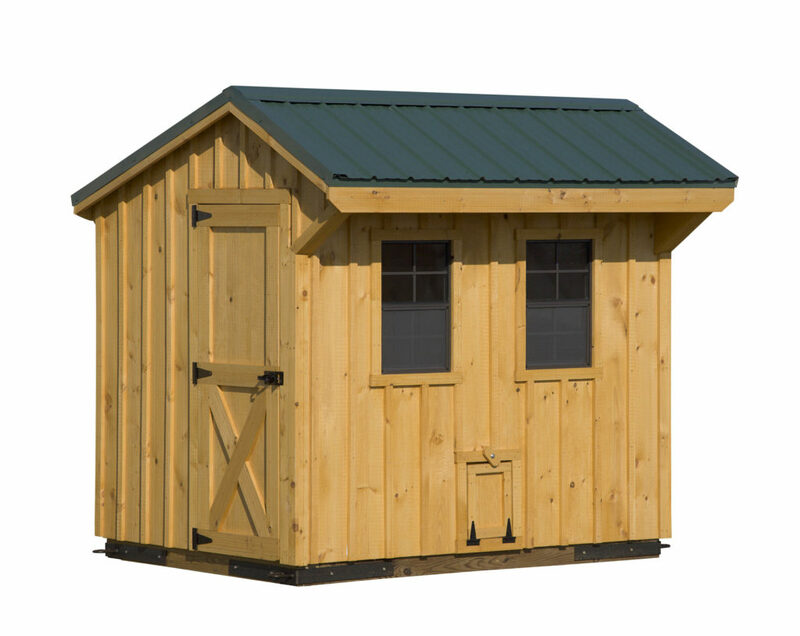 The 6’x8′ chicken coop offers Board & Batten siding with Keystone Gold stain and a blue charcoal metal roof. There is a service door on the side and a chicken door with a ramp in the front of the chicken coop. 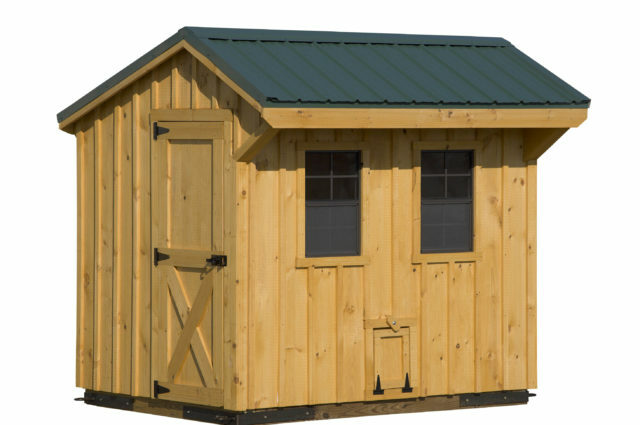 In addition, there are two 14″x21″ windows on the front as well as an 8-Hole nesting box with roost. It also comes with a pressure treated floor.